“Vertex became a critical key in our plans for growth and moving into the future”, says the company’s Technical Manager, Mr. Brett McDonaugh. Mr. McDonaugh has worked in the building industry for 25 years. He started with Steel House Frames Australia as a detailer in 2001. Back in the early 2000s, steel was still relatively new to the market. 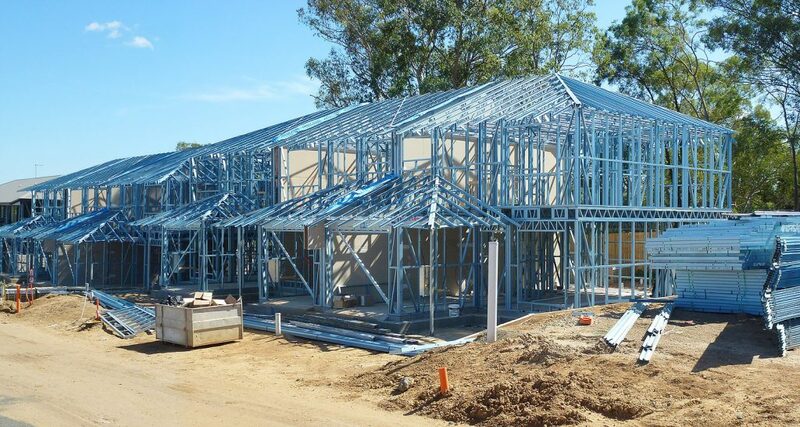 Steel House Frames Australia was supplying light gauge steel wall frames, floor joists and roof trusses to the builders in South East Queensland. Mr. McDonaugh, one of SSHF’s five detailers, was using a 2D detailing package. In 2005, the company started searching for a new detailing package with 3D capabilities. SSHF tried several packages without success, until Mr. McDonaugh came across with Vertex in 2007. After switching to Vertex, the company has seen a major increase in productivity. “The biggest advantage is that a new detailer can see the actual frame components in 3D as though they were on site. This function alone allowed for greater clarification when training new staff. New detailers at SSHF learned to use Vertex and produce plans in half the time it took with the previous programs”, says Mr. McDonaugh. Vertex has made large projects easier to produce and manage. One project included 193 units with six different designs. SSHF used Vertex to develop and frame all six designs, and all they had to do was to copy and rename the job file under a new job number. SSHF has been working closely with another company whose C300 flooring system is also designed in Vertex. 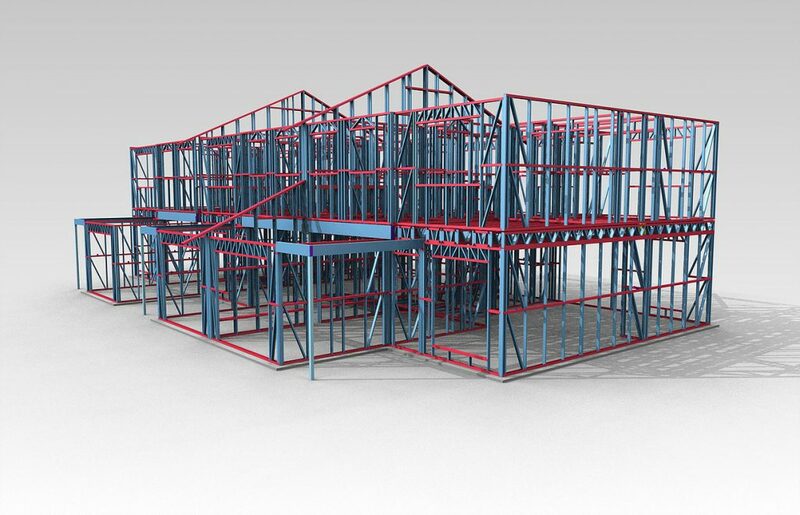 The ability to incorporate their design into SSHF’s model means that the client can see the entire frame system without having to guess how the structure would go together. “This alone was a huge selling point with the client. It also assisted in identifying other construction issues for the client prior to site start”, Mr. McDonaugh says. Now 75% of SSHF’s detailing office uses Vertex. Mr. McDonaugh is confident that the journey with Vertex will continue.